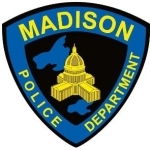 Sexual assault charges have been filed against two 15-year-old students at Madison East High School. A search warrant was issued to collect D-N-A from one of the suspects. The victim says one of the boys took her backpack and ran into a bathroom at the school at about 4:00 P-M Wednesday. She says the two sexually assaulted her even though she kept saying no, told them to stop and tried to push them away and leave. The boy named in the search warrant told police he wasn’t in the bathroom during the attack, but surveillance video confirms both of the suspects were there.